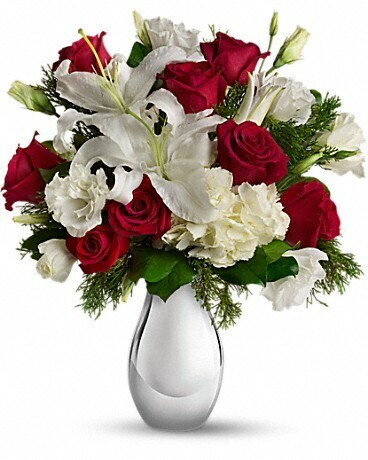 Simple, classic and yet magnificently merry, this festive array of red and white flowers in a silver reflections vase is a gift they'll love - now and forever. 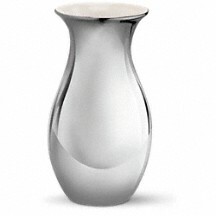 The keepsake vase will bring a sparkle to many holidays to come. 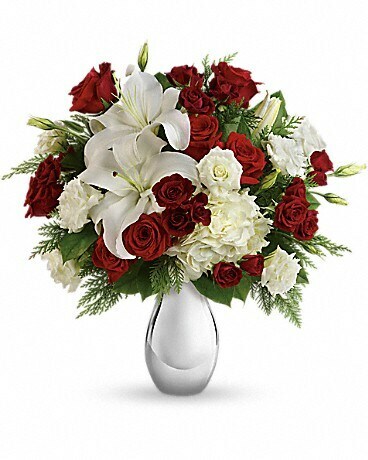 Noël-egant - a made-up word that perfectly describes this festive array of red roses and beautiful white blooms in a chic silver reflections vase. 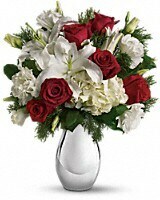 Grace your celebration with this stunning bouquet - and prepare for rave reviews.